This is another one of the restaurants in the city that have also started a small food truck business trying to reach out to a different customer base. They drive around with pre-made food in warmers and serve anyone that walks up to their truck and offers their money. I would definitely stay away from this truck. The food is honestly not anything special... some of it was so bad I wouldn't eat it ever again. I do want to clarify that the restaurant and the food truck are probably different in terms of quality mainly because the trucks cannot cook on their truck. So my review is solely based on the food truck... check out the restaurant and leave a comment and let me know how it is! 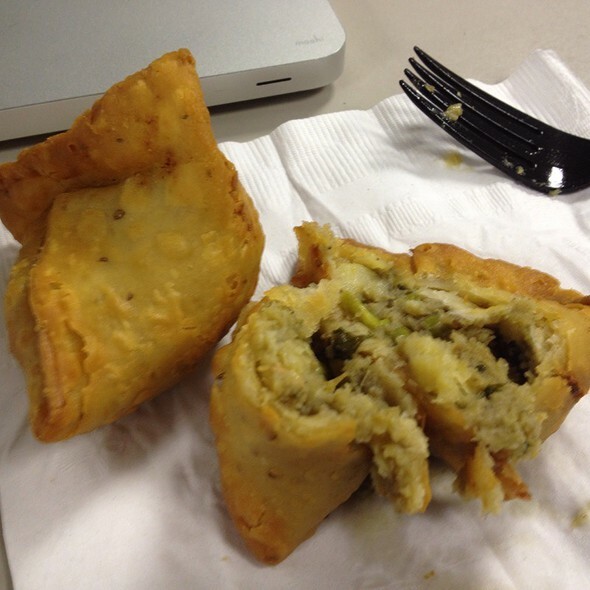 If you are craving a samosa, DO NOT eat this one... It just will disappoint you and make you crave a restaurant with better Indian food. First of all, the samosa was way to oily. I do understand I got the food from a food truck, but they claim the food truck food is just as good as their restaurant. It was honestly like biting into an oil filled piece of fried dough. The filling was way too mushy... they definitely overcooked everything on the inside and then mashed it all together. And no chutneys? The list goes on and on... Maybe try them fresh at the restaurant... but don't try them from the truck. Combo curry plate from their food truck. Now this actually reminded of an Indian restaurant and the portion was way more than I needed. For the first entree, I got the chicken tikka which actually came with good amount of chicken and a very rich sauce. It was almost a little too creamy from what I am used to (probably because I lived in India for almost a couple months). As my second entree, I chose the saag paneer. I was extremely surprised with the amount of paneer they gave... it was way more than most restaurants. But the flavor was really lacking. There was no spice to it and the spinach flavor wasn't as strong as I was used to. The rice was good, but how much can you mess up rice? I do wish they offered naan instead or maybe a half & half order or rice and naan. - Don't eat from the food truck. 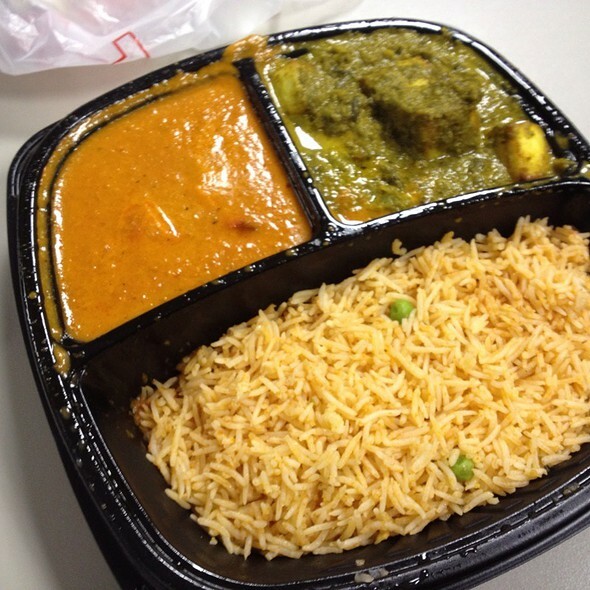 You will be disappointed and not quench your Indian cravings.